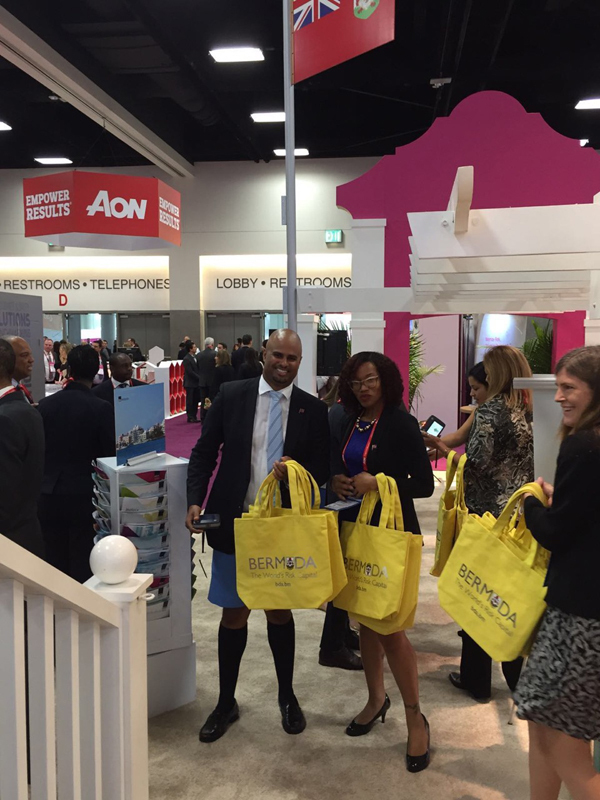 Bermuda’s delegation of government, industry and regulatory officials had a successful first day showcasing the jurisdiction at the Risk and Insurance Management Society [RIMS] annual conference and exhibition in San Diego, California. The first full day of the conference saw a VIP lineup for several insurance industry media interviews led by Premier Michael Dunkley, Finance Minister ET [Bob] Richards, Economic Development Minister Dr. Grant Gibbons, BDA and Bermuda Monetary Authority officials. Media included Business Insurance and Reactions magazines, and Insurance Insider, with more slated tomorrow with RIMS TV and AM Best TV. 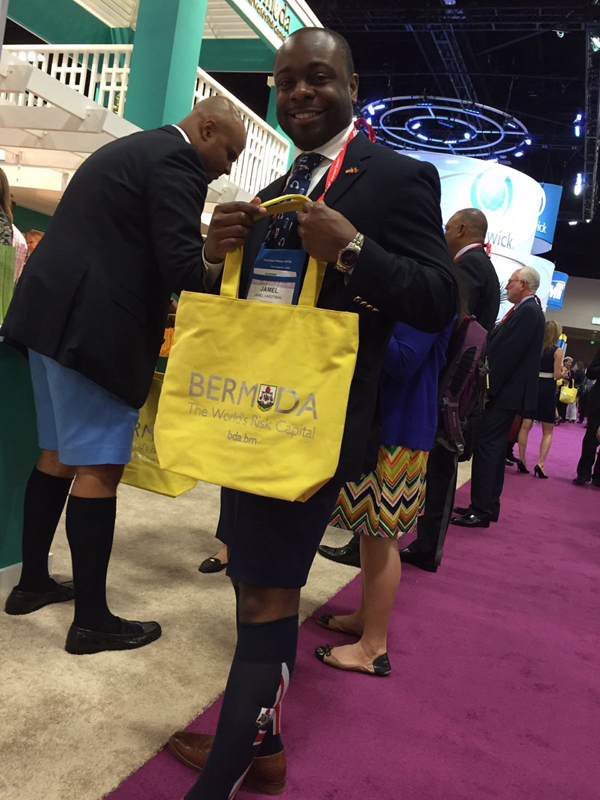 Monday also saw the opening of the Bermuda Booth in the exhibition hall, where crowds of delegates lined up to receive 2016 editions of the popular Bermuda bags—made in sunny yellow and silver this year. 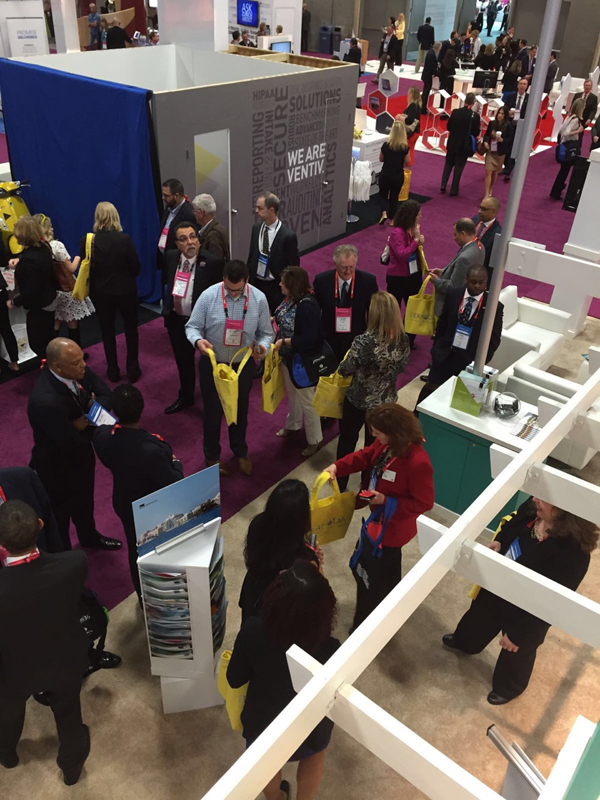 On Tuesday, Premier Dunkley will meet RIMS President Julie Pemberton and RIMS CEO Mary Roth before touring industry booths at the Exhibition Hall. The BDA will also host its annual networking reception, an invitation-only event Tuesday, April 12, for key industry representatives and other executives. Representatives from numerous Bermuda-based companies are attending RIMS, including: Aon, Appleby, Arch Insurance Group, Artex, Arthur J. Gallagher, Aspen Insurance, AXIS Insurance, Beecher Carlson, Bermuda Commercial Bank, Butterfield Bank, Canopius Underwriting Bermuda, Chubb, Clarien Bank, Conyers, Endurance, EY, HSBC, JLT, KPMG, Markel Bermuda, Marsh Inc, PwC, R&Q Quest Management Services, Willis Towers Watson, XL Catlin, and Zurich. 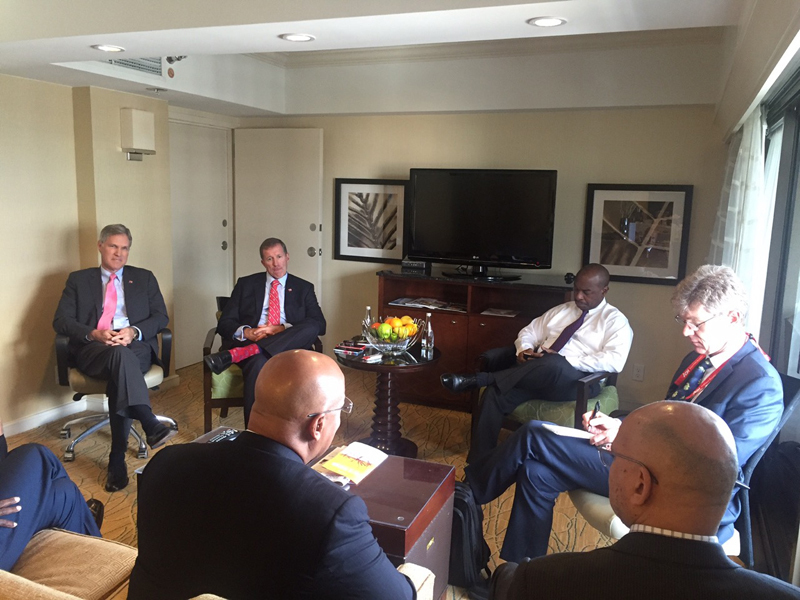 our economic leaders– a strong, intelligent and knowledgeable group representing Bermuda — thank you to them all for their dedication.